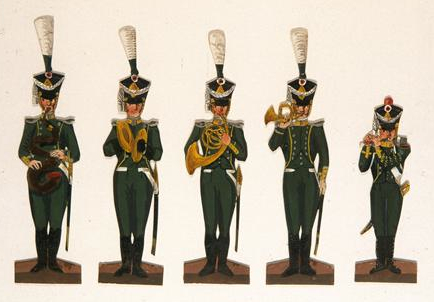 As I mentioned in an earlier post on paper trombonists, an interesting little subset of music history images exists in the form of contemporary 19th-century military figurines. 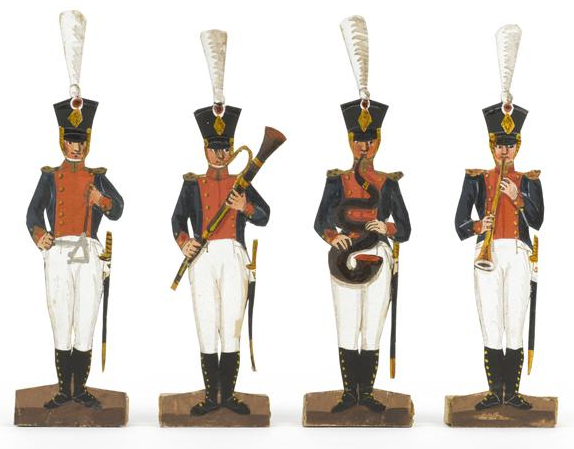 These figurines include military musicians, and, more specifically, serpent players. 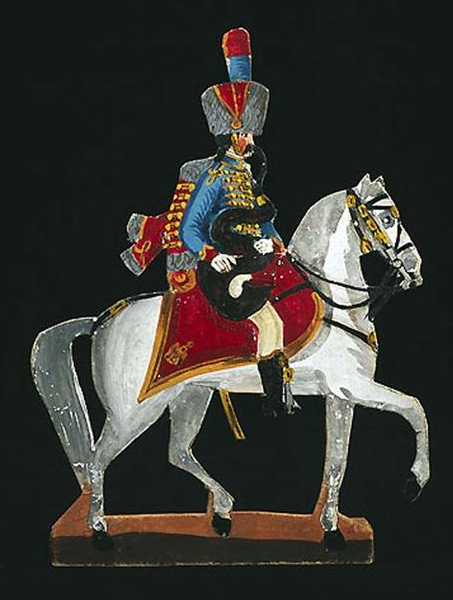 Although a number of such collections are available, all of the examples shown below were produced by the Wurtz and Pées family in Strasbourg, France, between 1825 and 1850. 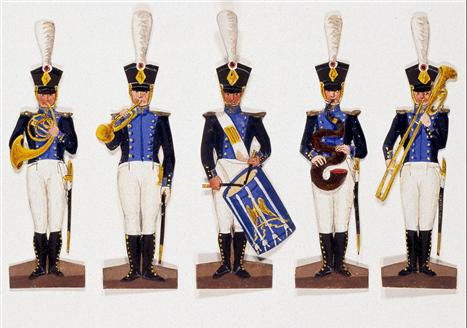 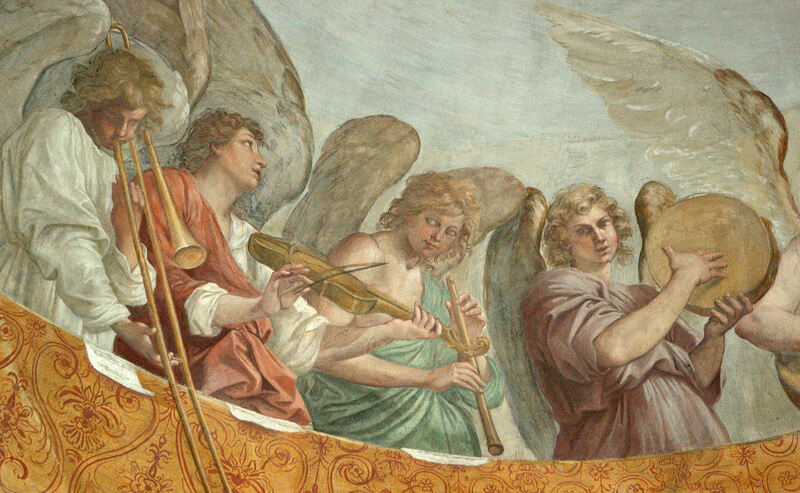 As I also mentioned in the post on trombones, these depictions are probably fairly literal, as their creators (and collectors) were known to obsess over such minutiae as the color of the buttons on a given uniform or the type of insignia on a given battalion’s hat. 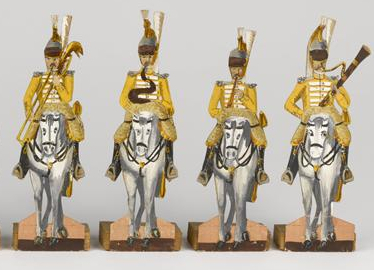 I have cropped several of the images to better show the serpent players, but each one comes from a very specific military regiment. 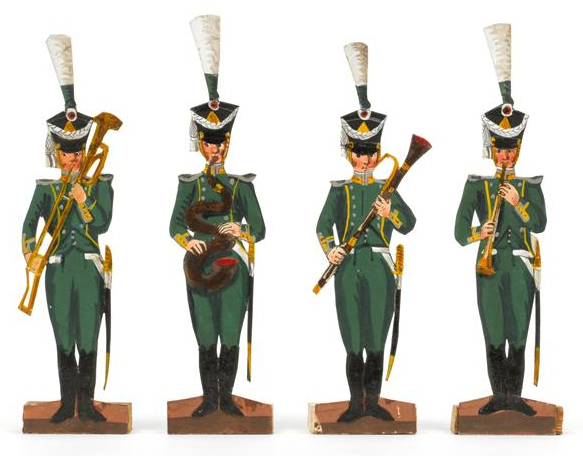 The bottom four images of this post are also included in the post on paper trombonists. 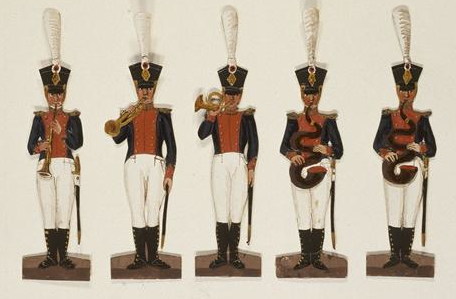 Soon I will also include a couple of the best serpent pictures in another post, Serpent & Ophicleide: History and Images. 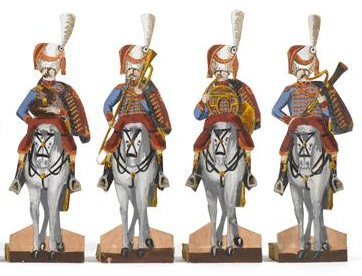 I personally like the first one in the set below, although I think I’m partial to all the players on horseback (just seems like an eccentric way to play music).